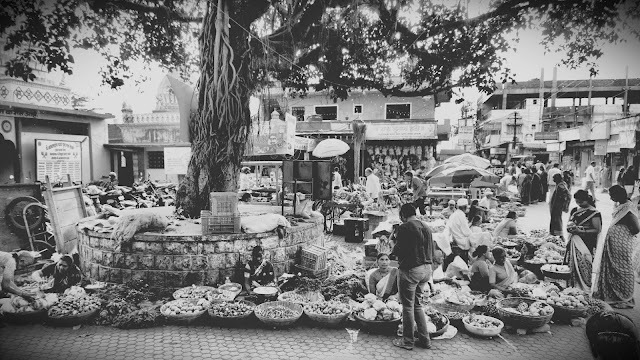 Village market around a tree. There was industrious activity all around. Sellers pushing their agendas; passer-by's pushing their way through; cacophonous vehicles trying to edge through this mass – animation all around.